Gather these supplies: Liquid glue, scissors, pencils, crayons, yellow card stock, glitter, paper cups, Popsicle sticks or straws, and flashlights. Write the lyrics to Twinkle, Twinkle Star on a poster (either the first verse or full version). For art activity: Cut out a star for each child. Make the star 3-5 inches tall out of the yellow card stock. 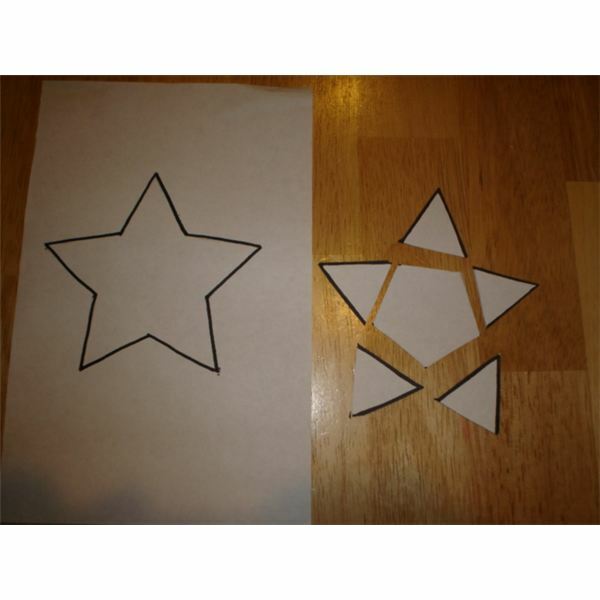 For math activity: For each child, draw two stars on a piece of paper. Cut out the second star into 5 triangles and a pentagon. Find a book to read about the rhyme or stars. Tell the class you will be learning about the nursery rhyme, Twinkle, Twinkle Little Star. Ask if they are familiar with the rhyme and allow them to respond, sharing what they like about the song. Tell them they will also be learning about stars through some fun star activities. Read or sing the rhyme as a class using the poster you prepared. Read a story to the class about Twinkle, Twinkle Little Star. Then discuss what you learned about stars. Here are some ideas for books that you can probably find at your public library. 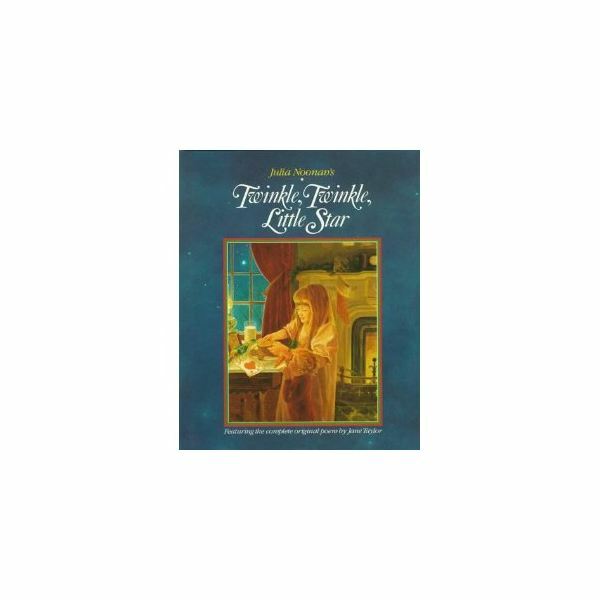 Twinkle, Twinkle Little Star by Jane Taylor, Illus. by Julia Noonan. Discuss the meaning of the words in Twinkle, Twinkle Little Star. Give each child a star worksheet with a set of shapes, and crayons. Have them color their stars. Encourage them to say the names of each shape as they rearrange them to fit within the star. Can you make other shapes? Tell the class they are going to make their own twinkle stars. 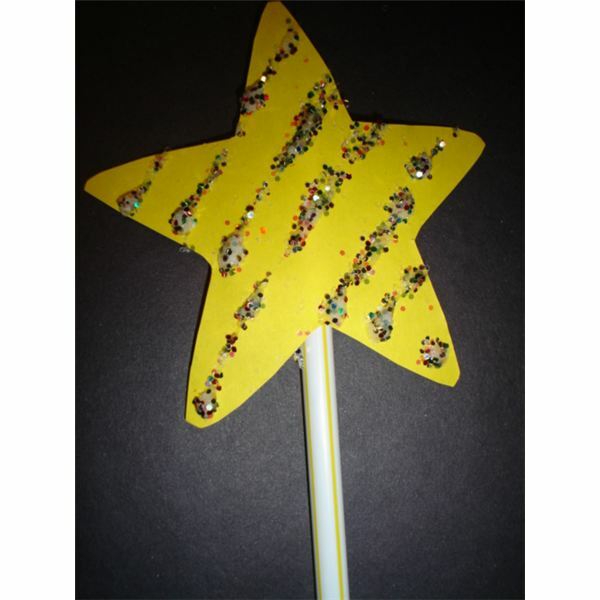 Give each child a yellow star, glue, and glitter to decorate their twinkle stars. Set them aside to dry while doing the next activity. Then help them tape their stars to a Popsicle stick or straw. Give the kids time to play with their stars as they "shine their twinkle stars in the sky" and sing Twinkle, Twinkle Little Star. Give each child a paper cup and allow them to poke holes in the bottom, as many as they like. Put the cup over a flashlight for the kids to see their own shining stars. If possible, darken the room so the stars are more visible. Find addition lesson ideas about stars in this Little Stars Lesson Plan article. Discuss with the class what they have learned in this preschool lesson on Twinkle, Twinkle Little Star. Have them share what they learned about stars and the Twinkle, Twinkle Little Star nursery rhyme. Review facts about stars (you may use some of the same questions as in section 4). Conclude the lesson by singing the rhyme once again.